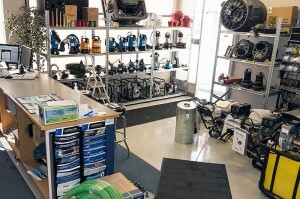 Chinook Pumps is your local Calgary, Family Owned and Operated Pump Solutions Experts for over 25 years! 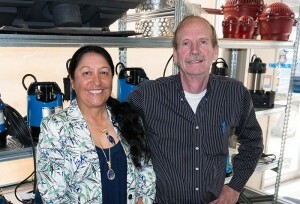 In February of 1988, Tom and Dee Hill started Chinook Pumps as a small personalized service business in the basement of their own home. Word of mouth and satisfied customers that Tom had developed in his previous 13 years of business continued to solidify his reputation and Chinook quickly moved to its first 2,000 square-foot shop. Fast forward to 2013 and Chinook has just celebrated their 25 year anniversary. 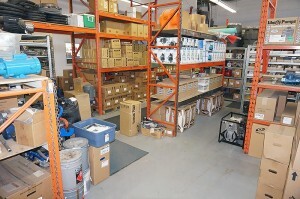 Chinook now operates out of a 10,000 square foot shop/warehouse and has an additional 10,000 square feet of outdoor storage space with a vast inventory of pumps, controls, pipe, cable, accessories and plumbing fittings on hand. All of this design, engineering and machining is done directly in-house. As Tom says, “We understand the industry – we understand how things work, we know how they are supposed to work and some of the common and unusual problems that people run into. Our staff are always upgrading their skills at seminars and courses about the newest systems and are fully up-to-date on the latest new technology. We can offer decades of knowledge and experience”. Chinook is often asked to research and develop new pump designs and work on customized new systems such as Chinook’s constant pressure system, as well as their patented 12-volt jet pump and Chinook’s industrial patented 12-volt transit mix pump system. Customized and specialized commercial pump consulting and service is something else that sets Chinook apart from the competition and especially the big box stores! Chinook’s custom designed technology is being used extensively by Alberta’s oil and gas industry as well as Chinook designed pump systems are installed in Canada, USA, Iran, Iraq, Cuba and Kazakhstan. Chinook is able to offer the most innovative and customized pump designs for commercial, farm, municipal and residential service available. Chinook has also been renowned for their water well systems – including sewage, sump pumps, submersible pumps, jet pumps, turbine pumps, pond, waterscape, irrigation and positive displacement pumps and controls or systems. Positive and appreciate word of mouth continues to no only grow the business but enhance the Chinook Pumps reputation for being the most skilled and reliable Pump Solutions provider in the industry!